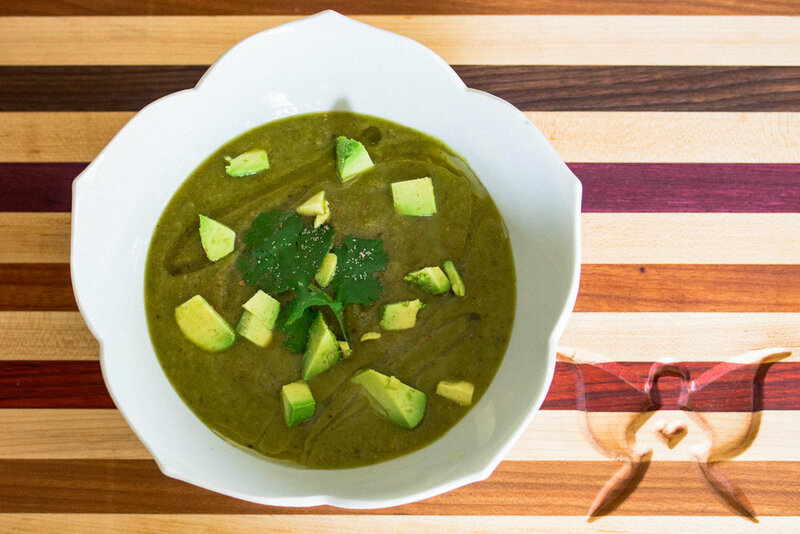 Another one of my favorite go-to soup recipes that I love having on hand throughout the week. Poblanos are generally pretty mild in heat and are full of flavor. They also are rich in fiber and vitamin A as well as a great source of iron and potassium. 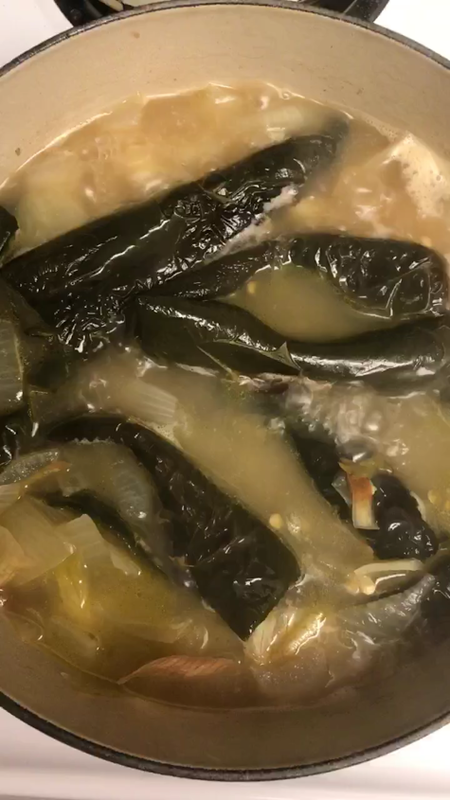 I love them roasted and served with barbacoa but also taste amazing blended into a savory soup. I recently blogged about how I am really into making these base soups for my meal planning because they are incredibly easy to make (I break it down into just 5 simple steps!) but are also a great way to consume bone broth throughout the week. I love making a giant pot of these kinds of soup and just having them on hand because I know at the very leas when my schedule is super busy that I will always have a nourishing soup to eat. This particular soup is delicious as-is or is also great topped with a fried egg or chorizo. Slice poblanos down the middle and discard tops and seeds inside. Place on baking sheet and coat with sea salt and oil. Roast at 400*F for 20 minutes or until skin begins to char. Meanwhile, heat ghee in dutch oven. Once melted, add veggies and remaining spices, mix well. Once veggies soften, add roasted poblanos and combine well. Allow to cool and blend with an immersion blender (or in a Vitamix) until smooth and creamy. Garnish with avocado, cilantro, and avocado oil.